Landscaping Contractor Rick Haines and his company, Artistic Hardscapes Inc., specializes in both hardscape and softscape designs, as well as installations. With over 30 years of serving the Lehigh Valley, including 19 years of co-owning Artistic Landscaping Inc., we have experience you can trust. Our goal is to work with you to help bring your vision to life to enhance your home’s curb appeal as well as creating unique outdoor living spaces that fit your lifestyle! We are a small, family-owned company in Northampton, PA that is dedicated and understands the importance of providing a professional yet personal experience when it comes to delivering exceptional customer service. 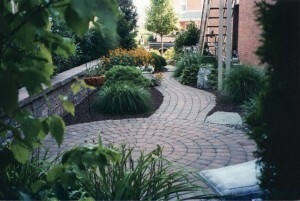 If you are looking for a landscape and hardscape contractor in the Lehigh Valley to get the job done right and help with a unique project, we are the ones to call! We will be there every step of the way – from the initial consultation to installing the finishing touches on our work. We strive to leave a lasting impression in everything we do! Proudly serving Lehigh Valley, PA | Northampton | Emmaus | Whitehall | Phillipsburg | Allentown | Bethlehem | Easton, PA.